Schoolgirl Sitting At A Desk With Other Classmates While Working. Her Head Is Down While She Concentrates. 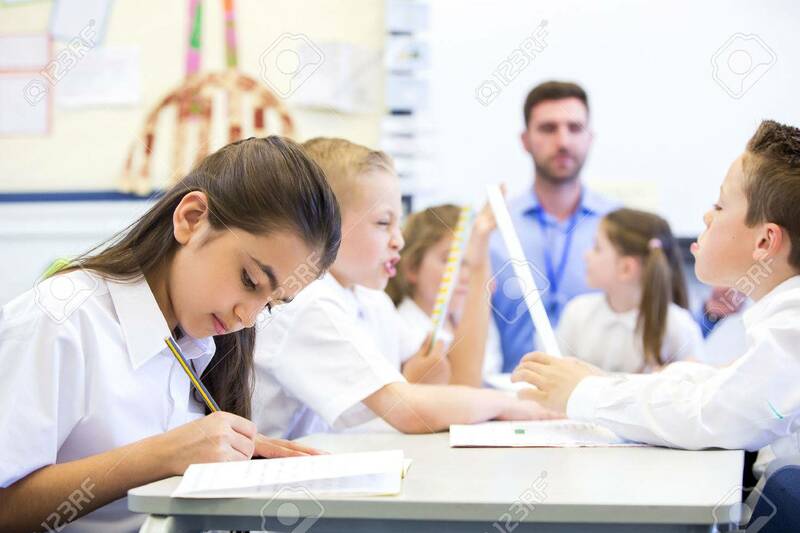 The Teacher Can Be Seen In The Background. Royalty Free Fotografie A Reklamní Fotografie. Image 43346208.